I sorta miss this place. I spent many hours and worked very hard for 5yrs in this body shop until they hired a shady manager but he's long gone. I highly recommend the sales, service, parts & body shop departments. 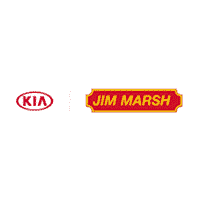 love Jim Marsh Kia. service staff is very friendly and knowledgeable. they knew I was under a time crunch and got the service done in less time than quoted! the final bill was less than estimated, which is always good! After a month of searching I found my best deal right here at Jim marsh Kia and I searched is far is Miami. And found my dream car right here . I am quite impressed with the service! I had a smog check and oil change done in an hour. Thanks Cindy! The most friendliest sales and service people anywhere on the planet. I am what you could call, needy. I researched the Kia of my dreams, the Kia Soul Exclaim in Titanium Grey and found that the closest one to me was at Jim Marsh. Being that I live in Arizona, I had about a zillion questions on buying a car out of state, financing, obtaining the vehicle, the meaning of life- you get the picture. From start to finish, I was BLOWN away by the level of customer service I received. Not that fake “we want to sell you a car” customer service. It was genuine and you could feel it. Thank you a zillion times to Stephanie, Rosemary, Cash (literally THE man!) and Shawn in finance for making this experience so awesome!